Copy and Paste will only get you so far. Rather than type the same bits of text and pictures over and over again, be it your address, your terms and conditions, your disclaimer, your location map or logo, save them as AutoText entries in Word. 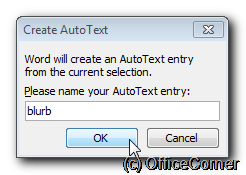 AutoText entries work in Microsoft Word and also in Microsoft Outlook e-mail messages. 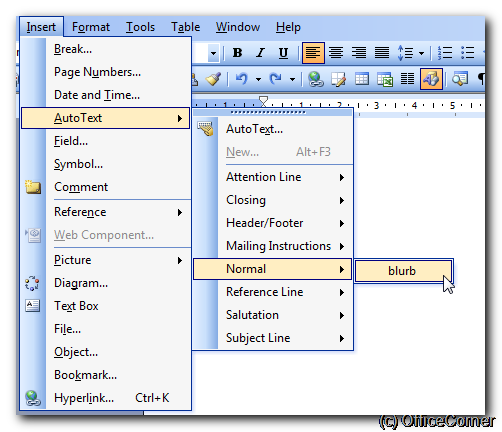 Select the text, picture or combination of both in an existing Word document. 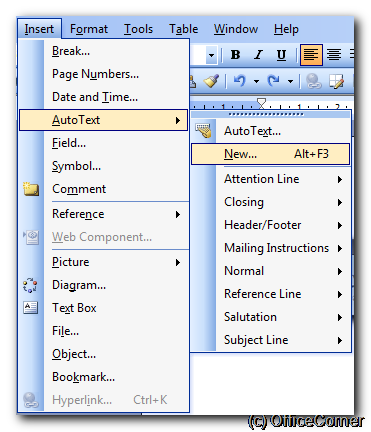 From the Insert menu, click AutoText and select New (press Alt+F3 if you prefer shortcuts). Finally associate the AutoText with a snappy keyword (you are trying to save yourself time, aren’t you?). 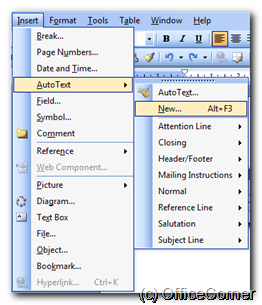 Type the keyword you associated with the AutoText entry and press ENTER or F3 on the keyboard. Done. Get yourself a nice cup of tea, you earned it and now you even have the time. 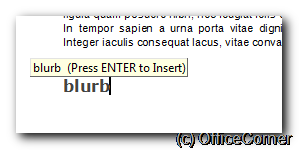 From the Insert menu, click AutoText and now find your AutoText entry under the template name (Normal, usually but as you guessed already you could even associate AutoText with other templates). Get that cuppa, now! From the Insert menu, click AutoText and then… well, AutoText again. The full list is shown in this dialog box and obviously you can delete the ones you don’t use or modify the ones that need it. Straightforward or what?